Sperry is offering an Extra 20% Off Sperry Sale Styles with code SETSAIL at checkout. 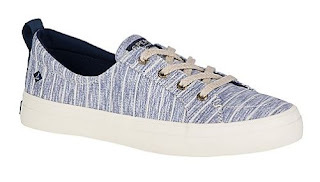 I love these Women's Crest Vibe Painterly Strip Sneakers $33.59 (Retail $59.95). Valid through 4/22 at checkout.